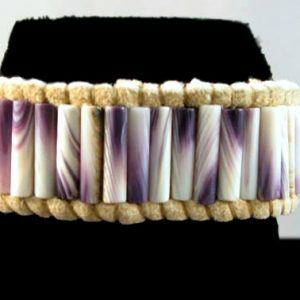 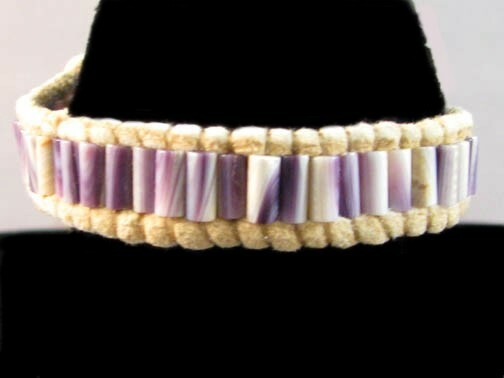 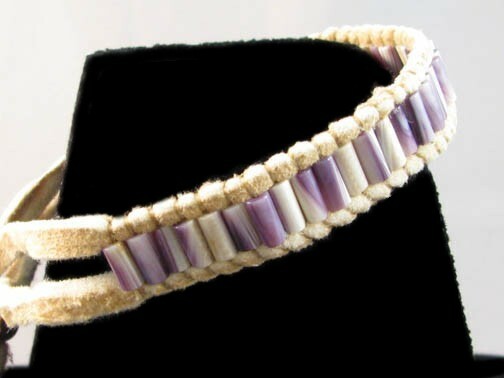 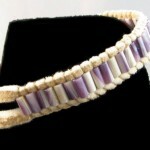 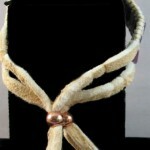 This single row bracelet is created by using beads from the Quahog round clam shell, otherwise known as genuine wampum, by Don Standing Bear. 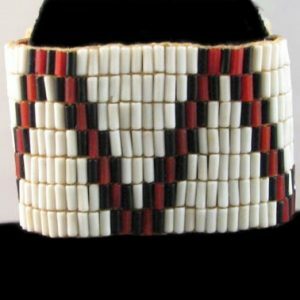 He is from the Sou’West Nova Metis people (who are descendant of the Wampanoag of Nova Scotia) & he was instructed by one of the few remaining elders how to create these traditional pieces. 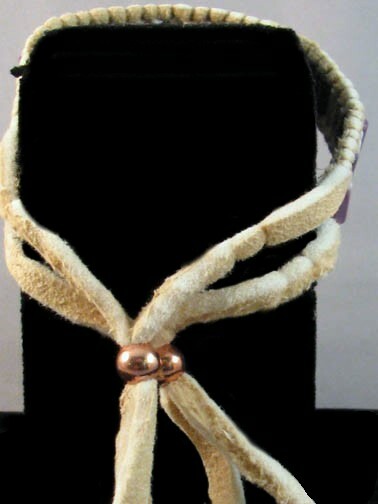 Standing Bear even brain tans his own deer hides for his creations.